While hearing the petitions, which challenged the Constitutional, validity of Aadhaar card with those opposing the mega project saying no statute supported it and it also compromises with national security, the Supreme Court asked the Government of India to remove all orders, which make the Aadhaar card obligatory for availing any service and also directed the Unique Identification Authority of India (UIDAI) that without the prior permission of the card holder it should not share any information relating to an Aadhaar card holder with any government agency. 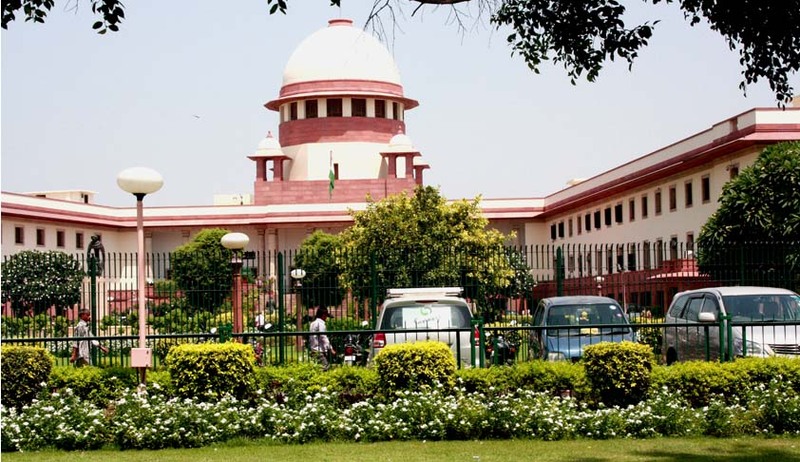 Further, a three-judge bench headed by Justice BS Chauhan was also told that the project besides violating the right to privacy,the "biometrics", which is the foundation of the project, is an unreliable and experimental technology and public funds are being directed to private enterprises without adequate authentication.Earlier in 2013, the apex court, which had said Aadhaar card not to be made compulsory for people for availing any government services, issued an interim order and further stated that nobody should be divested of any such facilities for want of the card. Later the apex court was moved by the Centre, UIDAI and three oil PSUs - IOCL, BPCL and HPCL, seeking alteration of its earlier order that Aadhaar card is not obligatory and no person should suffer for want of it in getting the benefits of government schemes. By way of an executive order of January 28, 2009, the petitioners, including Justice K Puttaswamy; former high court judge and Major General SG Vombatkere, who retired as Additional Director General, Discipline and Vigilance in Army HQ sought to restrain the Centre, Planning Commission and the UIDAI from issuing Aadhaar cards. It was contended by senior advocate Shyam Divan in the beginning of the arguments that there was no statute to back the project and even if there were one, the statute would be violative of Articles 14 and 21 of the Constitution as the project empowers scrutiny of individuals and imposes upon right to human dignity. The senior advocate stated that the action under the challenged project of collecting personal biometric information without statutory backing is ultra vires even where an individual willingly agrees to part with biometric information. His contention was that due to the absence of statutory guidance on who and how the biometric information has to be collected, the project would not stand the test of Constitution. The advocate said some private entities have been given the task without sufficient authentication. He further called the project ultra vires,as under the constitutional scheme any action of the state that could possibly affect an individual's freedom must be backed by statute. The petitioners said that because individuals are not informed about vital aspects such as possible misappropriation of the information, the absence of any statutory protection, and commercial value of the information and that private parties are involved in collecting biometric information without safeguards, the procedure adopted by UIDAI in collecting data was also violative of Article 21. On an earlier occasion it was stated by the bench, which is hearing a batch of petitions challenging the scheme that the stand of state governments needs to be considered while deciding the case on Aadhaar card.